When there's something strange in the neighborhood, it's probably not a good idea to call an adorable toddler. You're much better off calling the professionals, by which we mean Peter Venkman, Ray Stantz and the boys who call themselves the Ghostbusters. They actually know what to do when it comes to paranormal activity. Toddlers... not so much. In fact, we can pretty much guarantee that a toddler would not be any help when it comes to fighting ghosts. Not only because it's a toddler, but also because you'd be trying to fight the ghost (wielding a proton pack, no less. Definitely not kid friendly) while also making sure your toddler didn't accidentally transport himself into a paranormal dimension (it happened one time!). Definitely not something you need battling an oozing ghoul. 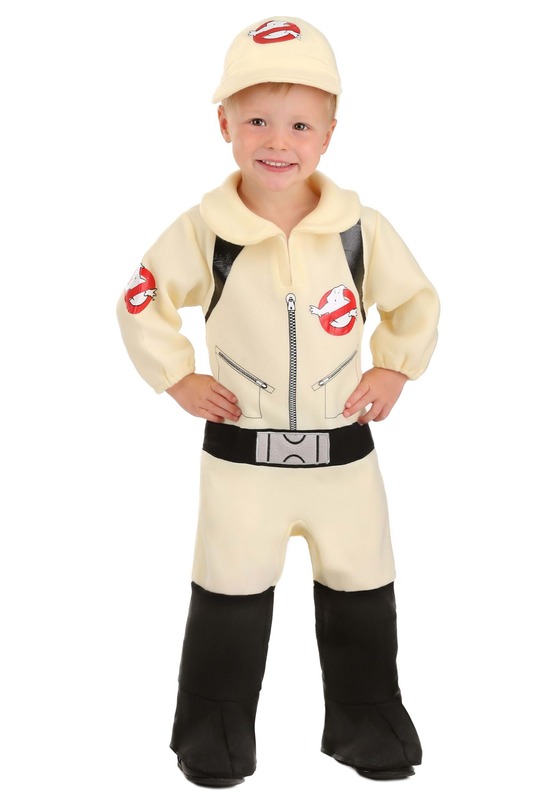 On the other hand, toddlers are adorable, and toddler ghostbusters are even more adorable, simply because any toddler dressed up as a profession is the cutest thing ever. So you'd be really tempted to call your toddler instead of the Ghostbusters, but again, let us assure you, that is a mistake. Took us like three weeks to get the last one out of that paranormal dimension, and his hair is still green. But, ghost busting is a growing industry, and you want your toddler to be able to provide for himself when she's older, so maybe it's a good idea to get her excited about joining the team. She doesn't have to take any calls or drive the Ecto-1 (Doesn't even have a license! ), but she's a born ghostbuster and when she's old enough she'll be the best recruit there is. And she'll still be adorable in the uniform!